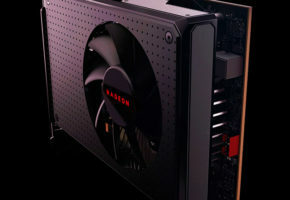 Today AMD unveils its refined Polaris architecture with Radeon RX 500 series. Has Polaris architecture been refined, has it evolved? Well, there is only one way to find out, by reading actual reviews and those are coming later today. Okay, but what’s XTR, XTX and XL? Those are Polaris 20 graphics processor variants. It may an important factor for your purchase. 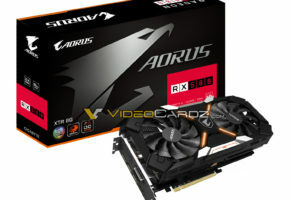 If you are after best performing Radeon RX 580 graphics card, grab XTR-based model, if you just want RX 580 on a budget, get XTX version instead. But how to distinguish one from the other? Well, unless the manufacturer specifically states it’s XTR, it may be hard to guess. Basically, any model going past 1400 MHz out of the box is likely XTR-based and there aren’t that many of those. In other words, Polaris 20 XTR is basically highest-binned chip designed for best performance. 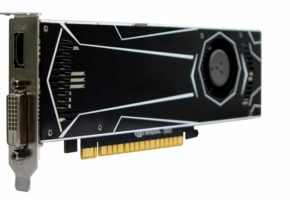 Some reviewers will be using XTR cards others will have XTX-based samples. Unfortunately, that’s all we know right now. Radeon RX 580 and Radeon RX 480 share similar specs, but there are few differences. The first thing is higher boost clock (1340 MHz vs 1266 MHz). The new dual-fan reference card has a new board equipped with a single 8-pin power connector, also TBP has been increased to 185W (I guess that explains where did higher clock come from). AMD has not changed memory clock speed for RX 580 (which is still 8 Gbps), but RX 570 memory clock has been modified to 7 Gbps (vs 6.6 Gbps). 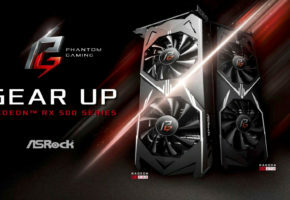 When it comes to cheaper cards, the RX 550 and RX 560 are using different Polaris chips. 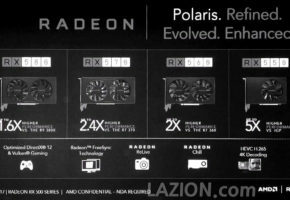 The RX 560 has full Polaris 11 (1024 cores vs 895 on RX 460), whereas the RX 550 has cut-down Polaris 12. 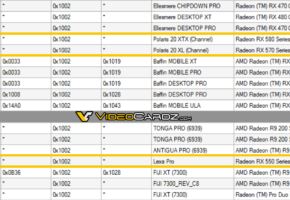 The following chart lists all Radeon RX 500 cards, we will add official prices and missing specs as soon as they are confirmed.